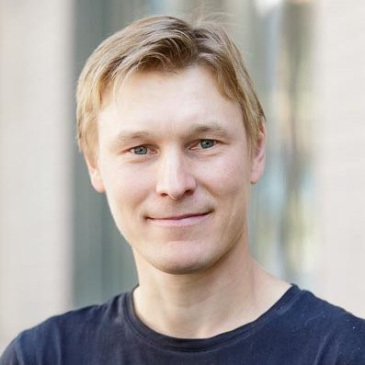 Jyri is General Partner at Yes VC, an early-stage venture capital fund based in San Francisco. Yes VC has invested in companies such as Spell, Orchid and Gaze. Jyri also served as Entrepreneur in Residence and member of the investment team at True Ventures, an early-stage venture capital firm, where he invested in e.g. Iceye, a radar satellite startup. As an angel investor he personally invested in Moves (acquired by Facebook), Applifier (acquired by Unity), Superfeedr (acquired by Medium), Betabrand, Oura, etc. He co-founded Jaiku, a mobile social network acquired by Google; and Ditto, a mobile local recommendations application acquired by Groupon. At Google he was the product manager responsible the Gmail mobile client, Mobile Calendar, and Google’s social networking efforts. At Groupon I served as Director of Product Management on the executive team that started and grew Groupon’s point-of-sale and payments businesses. I was responsible for product management at Boosted, a lightweight electric vehicle manufacturer. He is also co-founder of Sesat School, a micro-school in San Francisco; and serve on the board of the Rare Cancer Research Foundation.